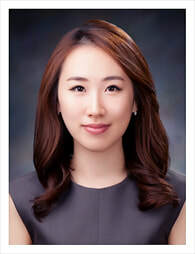 Kristin (Eun Jung) Jung is a Research Specialist for the Media Impact Project at the Norman Lear Center, focusing on evaluating the impact and efficacy of entertainment media in public diplomacy. Kristin is in charge of managing MIP's public diplomacy research portfolio. Projects include leading evaluation research for the US State Department’s cultural diplomacy programs: American Film Showcase (AFS), Global Media Makers (GMM), Middle East Media Initiative (MEMI) and Media Meets Message (MMM). Kristin has led a survey of evidence-based research looking at the cultural impact of media storytelling on Arab and Muslim audiences as part of the MMM project. More broadly, she is passionate about developing best practices for the use of mixed research methods in analyzing the social impact of media and the use of media as an agent of diplomacy. She has skills in qualitative and quantitative content analysis as well as social media analytics, with a focus on sentiment analysis. Kristin holds two bachelor’s degrees in International Studies and Media & Communications from Korea University and a Master’s Degree in Public Diplomacy from USC.